Mattel will at least partially maintain its New 52 mindset come 2013 with the second wave of its 6" DC Unlimited action figures, although a video game look is also making its way into the mix. In addition to a Jim Lee-designed Wonder Woman, the line will include a new Injustice: Gods Among Us Batman based on NetherRealm's upcoming fighting game. 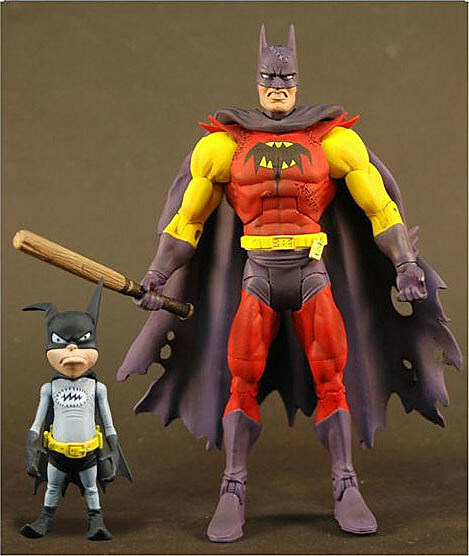 Meanwhile the toymaker's Batman Unlimited line seems to be pulling from comic stories with a Frank Miller-inspired The Dark Knight Returns Batman figure and Grant Morrison's version of the Batman of Zur-En-Arrh/Planet-X from Batman #678 (along with the "Might" version of Bat-Mite). Batfans probably won't consider these offerings a glut, especially considering two of the new Batfigures seem to sport largely original sculpts rather than the standard male hero build so many Mattel toys build off of. 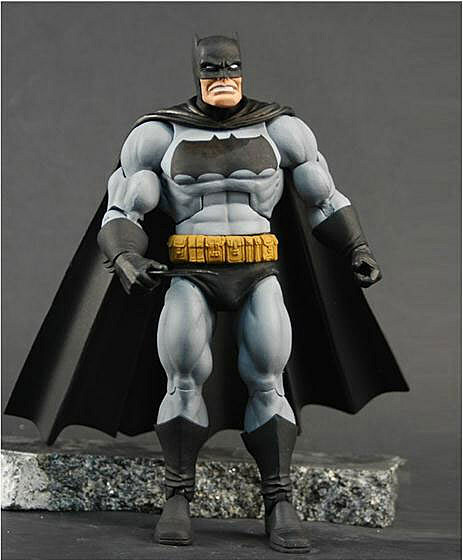 See what you think of all the upcoming DC superhero figures coming from Mattel in 2013 after the cut.